Sometimes exposure to impulse or continuous loud noise causes a temporary hearing loss (also known as a temporary threshold shift, or TTS), which disappears 16 to 48 hours later. Recent research suggests, however, that although the loss of hearing seems to disappear, there may be residual long-term damage to your hearing. Noise injury can also be caused by extremely loud bursts of sound, such as gunshots or explosions, which can rupture the eardrum or damage the bones in the middle ear. This kind of noise injury could result in immediate or sudden hearing loss that may be permanent. Sudden hearing loss, or sudden deafness, as it’s also known, can also occur without noise injury. If you are experiencing this, seek immediate medical attention to determine the cause and find out about treatment options. 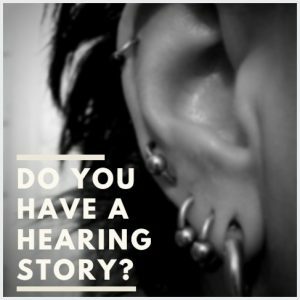 We’re collecting hearing stories from the music industry – do you have a story to share?